Legacies and (Dis)continuities in the Eastern Mediterranean. 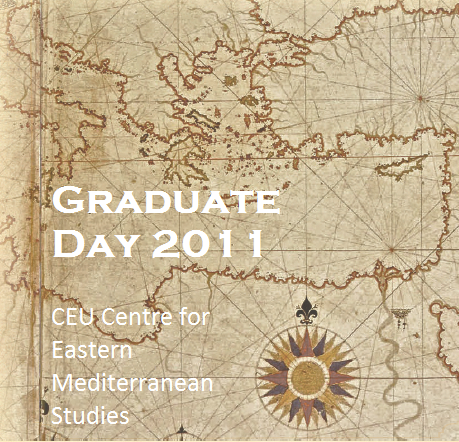 The Center for Eastern Mediterranean Studies (CEMS) is pleased to announce its Second International Graduate Student Day that will take place on June 3–5, 2011 at Central European University, Budapest. Graduate students are invited to present case studies on imperial, intellectual, and religious practices during the late antique Roman, Byzantine, and Ottoman empires. By investigating the Eastern Mediterranean in longue durée, the organizers aim to stimulate interdisciplinary dialogue among the participants, which would broaden perspectives on historical legacies and discontinuities in the region.